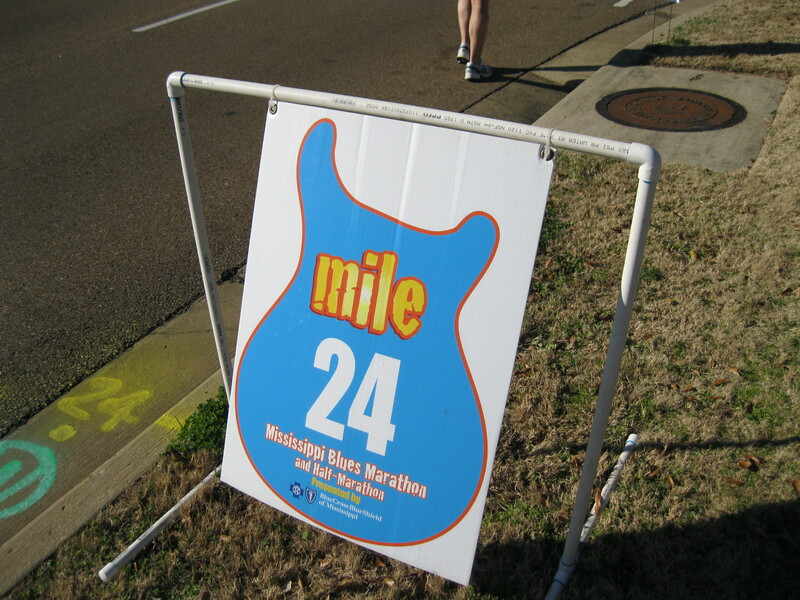 This past Saturday, approximately 2,100 people participated in the 4th annual Mississippi Blues marathon. I, of course, was among those who participated…on the sidelines! Like I said, I’m not trained to run a marathon, but I am trained to cheer the heck out of any doubt and broken spirits. So that’s what I did. Thanks to Hezekiah Watkins, president of the Dalton/Deer Park Neighborhood, runners were able to groove to the sounds of drumlines from Blackburn Middle School and Jim Hill High School while two-stepping to the blues of the 2X-Treme Band in West Jackson. Okay, so only the cheerers were two-stepping, but many a runner came through dancing. It was actually a joy to see them jog by with their arms flung in the air, swinging to the soulful blues of the band. It was even more joyful to see how uplifted the runners got when the cheerers yelled out words of encouragement. “Wooohoooo…you’re doing a great job! Looking great! Good pace!” were my words of choice as runners smiled, gave me a thumbs up or even a humble “thank you very much” in response. Mr. Watkins arranged for the music to start at 7:00 a.m., and it did. I, on the other hand, rolled out of bed and made it a little after 9:00 a.m. I learned that I missed Mayor Johnson’s appearance along with a crowd of others (not to mention JSU’s Sonic Boom), but I found plenty of other friendly company. I had only planned to stay for an hour, but the gracious responses from the runners to my cheers kept me cheering. It felt good to encourage others. Real good! Betty Lyons, Kimberly Hilliard, Fireman James and others chanted runner numbers, shouted “Who Dat” to runners wearing Saints shirts, danced, and did anything we could to lift the runners spirits–they were, by the way almost at Mile 24 by the time they reached us (or mile 11 for the half marathoners)! 2. A runner (and a friend who had joined her for support) stopped as we cheered her along, gave Mrs. Lyons a hug, and said “you made my day!” Come to find out, Mrs. Lyons didn’t know her which made us feel even better about cheering! Here are some pictures from the race. Oh, and by the way, the full marathon winner ran the course (26 miles) in a little under 2 hours and 20 minutes! The half marathon winner crossed the finish line in a little under 1 hour and 12 minutes! Whew! Way to go! Also, major kudos go to marathon organizer John Noblin. These are GREAT and SO Inspiring! I WILL be HERE next year – doing the walk!